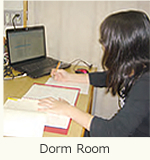 The first year students are required to live in the college‘s dormitory and second year students are given priority for entering our dormitory. 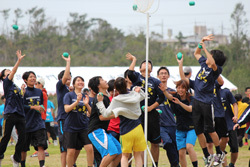 If students who are in the second year and above are willing to continue to stay in the dormitory, they are given the permission through the selection process made by Dormitory Affairs Committee. The dormitory is also an educational facility for students to learn the basic attitude of how to live together, cooperate with other students, and promote personal growth. In addition to card keys, crime-protection cameras and infrared sensors, two faculty members, and security guards stay there at night to assure safety for the students in the dormitories. will be charged in addition to the regular fees. 2.Boarding fees are collected twice a year. The 380-seat cafeteria with a scenic view of the Pacific Ocean serves students, faculty members and visitors. 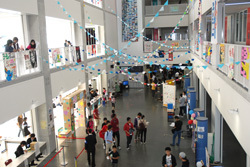 The student council room and tatami room located in the cafeteria are the places for students to rest and relux. The library is an integral part of the school with its role of supporting the college’s education and research. The collections include specialized books and magazines on engineering and natural science along with data related to other colleges of technology, paperback books, DVDs, CD-ROMs, and audio-visual software. DVDs, CD-ROMs, and AV software can also be used in the library. The library web site is now open and the library catalog is online, so books can be found through the Internet. 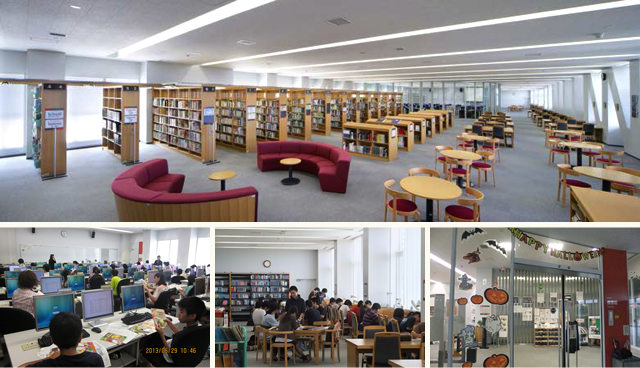 The school offers interlibrary loan services with other national colleges of technology and universities to students and faculty of National Institute of Technology, Okinawa College. In recent years, the institution has significantly upgraded its digital archive in addition to its online book search system. Domestic academic article databases (CiNii Articles), e-journals (ScienceDirect), and the searchable database of the articles of Okinawa’s two local newspapers were added in 2007 and made accessible to all staff members and students. The library began operating on Saturdays in 2008 to cater to local residents, and the institution intends to make its library resources more accessible to the general public in the future. 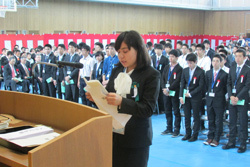 Copyright (C) 2013 National Institute of Technology, Okinawa College. ALL rights reserved.